Roulette Cam Chat: Vegetable Rustlers caught out by distintive marrow in Police line-up!! 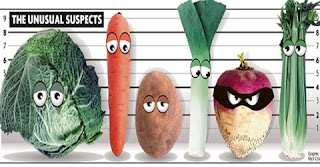 Vegetable Rustlers caught out by distintive marrow in Police line-up!! So now, you know, veggie rustling is a crime - don't do it.